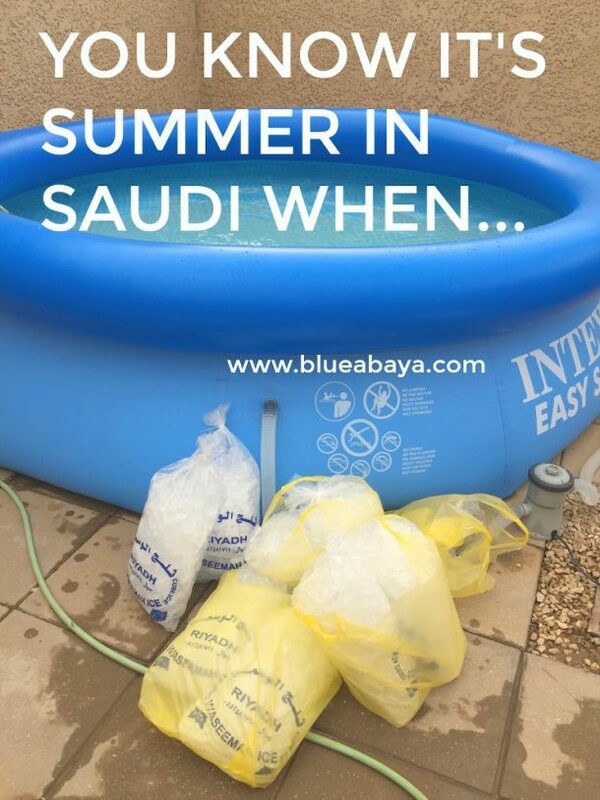 You know summer has arrived in Saudi Arabia when..
-the second you step outside you feel as if you’ve walked into a convection oven. -you discover swimming goggles and inflatables melt into plastic lumps if forgotten in the sun. -say goodbye to green plants-for four months all outdoor plants will look like twigs. -most Saudis hide indoors until 8 pm. -the bag of ice you placed on your head has melted after 2 minutes. -when your iPhone overheats and tells you it needs to cool down first. -your cats scream and run back inside in panic after touching the scorching hot ground. -your dog refuses to walk outside in the daytime. -you discover that outdoor candles can handle fire, but not the Saudi sun! 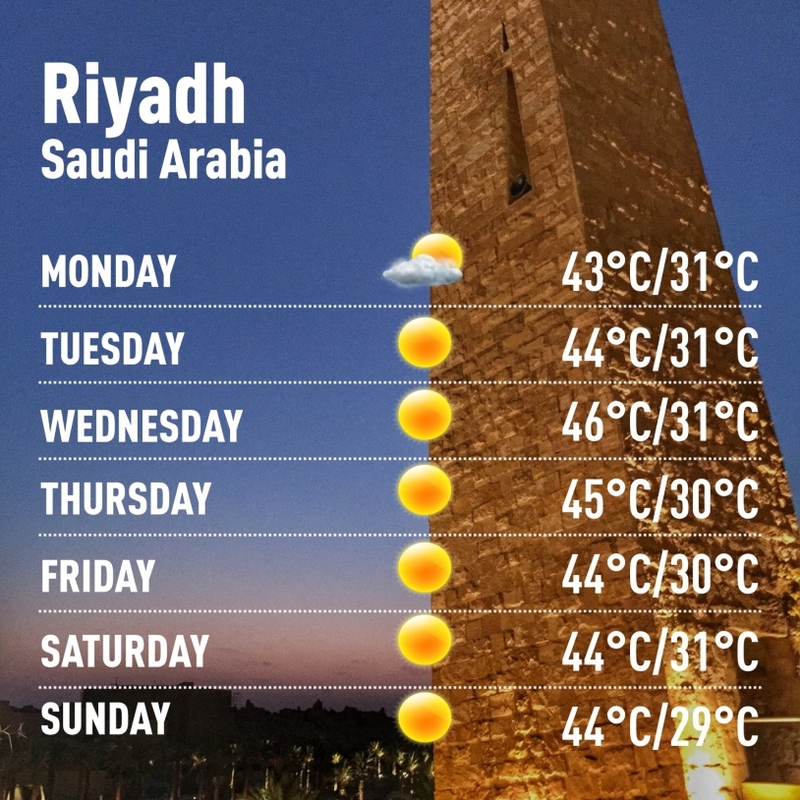 Are you melting in Riyadh? Check out these pools for women in Riyadh! 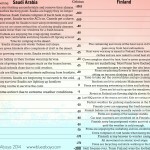 Check out these funny comparisons between the Finnish and Saudi weather extremes and how to survive them! hmmm bikinis under abayas..thats a first. 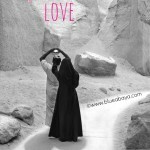 is that when guys hope that a gust of wind blows the abayas apart lol. lol the bebsi cola starts boiling! gross! Sounds like my version of hell. lol. I don’t do heat. At all. Wisconsin is plenty hot for me. And the comment above mine (I think Rabia Manzl?) is so right. When I lived with Saudia in California, it was amazing how nocternal they were. Dinner by 7-8, bed by 4am, awake by noon or 1 pm. Oh dear – and I thought I’d lived in some hot cities! NEVER gets below 40C? sounds pretty hellish to me. Your air conditioning must work pretty hard. A post or two back and you had some beautiful photos of the desert in bloom. The spring looked so beautiful, sad that it just degrades into all the plants scorching, ouch. I liked the comment about the melting book: #KSAsummerproblems, hey? Yunnan-the air conditioners struggle to keep up, I had to adjust them all the time and still some of them keep over heating and water starts dripping out.. There is a time in the hottest months that temperatures, at least inside the city don’t seem to fluctuate much from the daytime 50’s to night time 40’s..that’s what I call a frying pan! 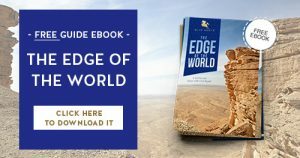 I live in South Australia, which has similar summer weather but not for as long (at worst, such weather will last two or three weeks and then we have a break for a couple of days, and it gets cooler in winter and rains a little). In primary school we used to dare each other to put their hands on the ashphalt or drain pipe to see how long they lasted, or ‘brand’ each other with seat belt buckles. I even tried frying an egg on the slippery-dip once and it worked. I have too many memories of waiting at the bus stop at 7am and noticing that the thermometer reads 42* or something similar. Often I get asked here how I can stand to wear long dresses and a headscarf in the heat but the truth is it’s cooler (I say it creates my own personal breeze) and I think a lot of women know this because long flowing skirts and sundresses are common in summer.